Paul Gardner Allen was born on 21st January in 1953 in Seattle, Washington State USA, and is a programmer, entrepreneur, businessperson, television producer, investor, film producer, inventor and real estate developer. However, he is certainly best known as, in collocation with Bill Gates, the co-founder of Microsoft Corporation in 1975, which is now in the top few companies in the world by market capitalisation. Paul Allen is also the founder of Vulcan Inc., which is a project management and investment company. How rich can a person be, who has occupations such as Paul Gardner Allen? Latest estimates by Forbes magazine state that Paul has a net worth of over $18 billion, the majority of his wealth accumulated from his interest in Microsoft, as well as Vulcan Inc., and an amount which places him in the top 50 richest people in the world. Allen went to Lakeside School where he met Bill Gates who was also enthusiastic about computers. Paul was studying at Washington State University but left it after two years to work with Honeywell in Boston as a programmer. It was a decisive step, as Paul met his friend Bill Gates again, persuaded him to leave Harvard University and to create Microsoft. The two were critical in developing a Data Operating System(DOS) which enabled the company to gain a contract to supply IBM for its PCs, and which was the basis for Paul’s and Bill Gates’ net worth. Paul Allen contracted Hodgkin’s Lymphoma in 1982, and during lengthy radiation treatment gradually gave-up his position with Microsoft, although not formally leaving the company until 2000, and even then being retained as a consultant. Meantime, Paul Allen’s net worth is also earned in the film industry, through the production company Vulcan Productions whose projects include “Far from Heaven” directed by Todd Haynes, “Hard Candy” directed by David Slade, and documentaries “Rx for Survival: A Global Health Challenge”, “ Judgment Day: Intelligent Design on Trial” etc. The film “Girl Rising” (2013) was very successful as more than $2.1 million has been collected to help poor girls to get education. Allen has also tried himself as a writer; the autobiographical book “Idea Man: A memoir by the co-founder of Microsoft” was published in 2012, which added somewhat to his net worth. Paul Allen is also known in music world; Legacy Recordings has released an album by Paul Allen and the Underthinkers “Everywhere at Once“, not a world shaker but an interesting sideline. Paul Gardner Allen’s impressive net worth and philanthropic view has allowed him to donate more than $1.5 billion to develop and improve services in different fields such as technology, education, science, wildlife conservation and even the arts. The philanthropist is ready to share his fortune, and in 2012 he was named as the most charitable person in the USA. In 2011 alone he donated over $375 million, and to administer his charity works, the Paul G. Allen Family Foundation was established. 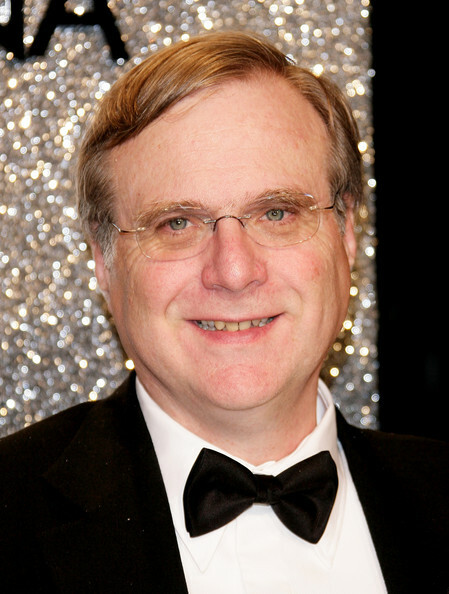 Further, Paul Allen is an art lover and supporter (about 100 million of his net worth is donated) who has founded some non-profit institutions such as EMP Museum, STARTUP Gallery, Living Computer Museum and others. Of particular significance is that in 2014 Allen donated $100 million towards finding the cause of and a cure for the ebola epidemic in West Africa. In addition to that Paul Gardner Allen is a founder of Stratolaunch Systems, the Allen Institute for Brain Science and the Allen Institute for Artificial Intelligence. What is more, Paul Allen is the owner of professional sport teams such as Seattle Seahawks (NFL) and Portland Trail Blazers (NBA). Also a part of the Seattle Sounders FC belongs to the influential businessman. Paul Gardner Allen is a diverse personality, who has never married, but dated such stars as Jerry Hall and Monica Seles, and is reputed to be something of a party animal. He also owns at least eight residences, three yachts, and a MIG-29 aircraft – aircraft is a hobby, and includes several World War 2 ‘planes as well as a Boeing 757. 1 He is a founding partner of DreamWorks SKG. Although his involvement has been less publicized, he actually owns more stock than either Steven Spielberg, Jeffrey Katzenberg or David Geffen. 2 Owns a yacht named Meduse. 3 Along with Bill Gates, he was co-founder of Microsoft in 1975.